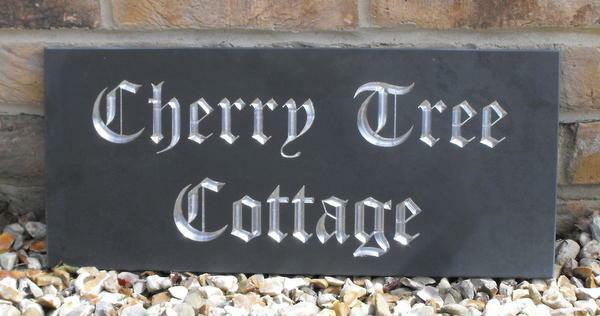 Deeply engraved house name sign or home address plaque suitable for two lines of text. 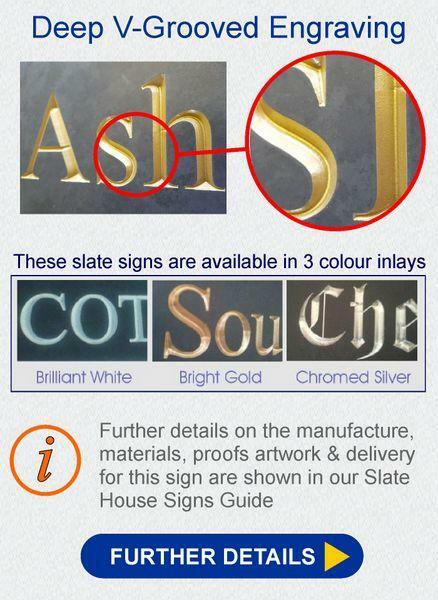 Available in 19 different fonts and a choice of white, gold and silver inlays. 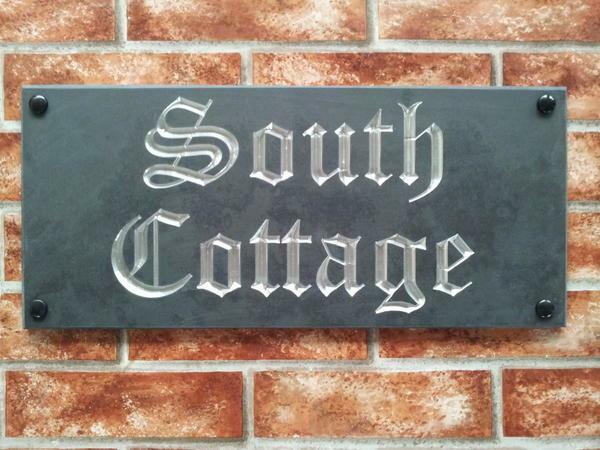 Brilliant house sign arrived safely, well made and exactly what we were looking for - thank you! Received today (after a failed delivery yesterday) - absolutely delighted with both. Thank you. 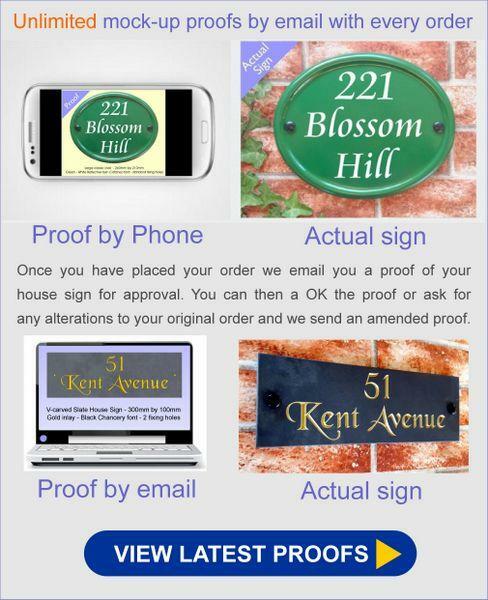 Just to let you know that we have received the house sign and are very pleased with it! Will send a photo when it is in situ. 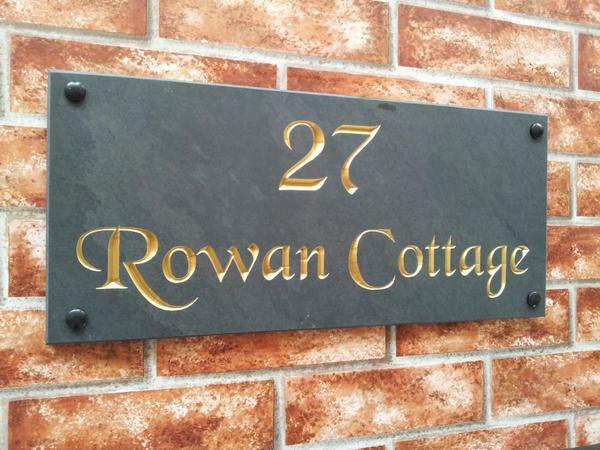 The Black Chancery font with Gold lettering, works perfectly against the slate. Add to that an excellent service and a well packaged item. It has been an absolute pleasure to deal with this company.